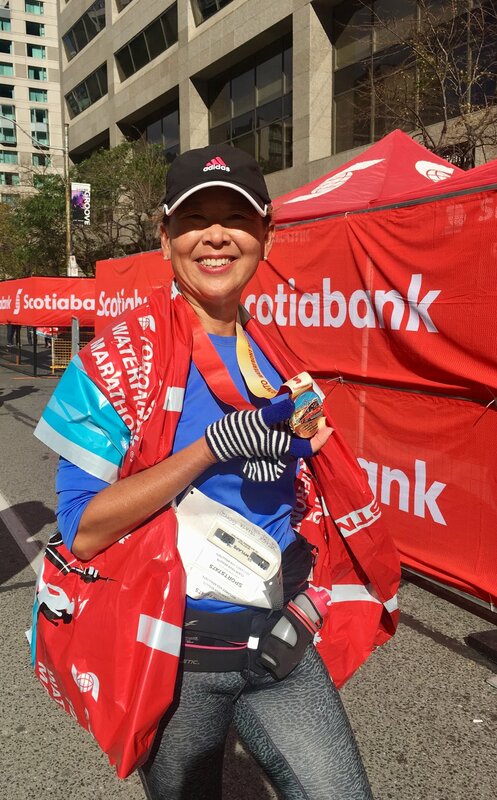 The Scotia Toronto Waterfront Marathon was a cold race, but I had a wonderful experience! Loved passing by some of the places of interest that I visited Friday and Saturday. The course even took us by the beach! Heading to the finish, the CN Tower made a great goal to focus on. The evening celebratory dinner was at Alouette, a somewhat newish restaurant recommended by my server at the Art Gallery of Ontario bistro yesterday. Have enjoyed all my meals here. Everyone has given me thoughtful recommendations. The walk back was warmer than race temperature, all of 41 degrees!